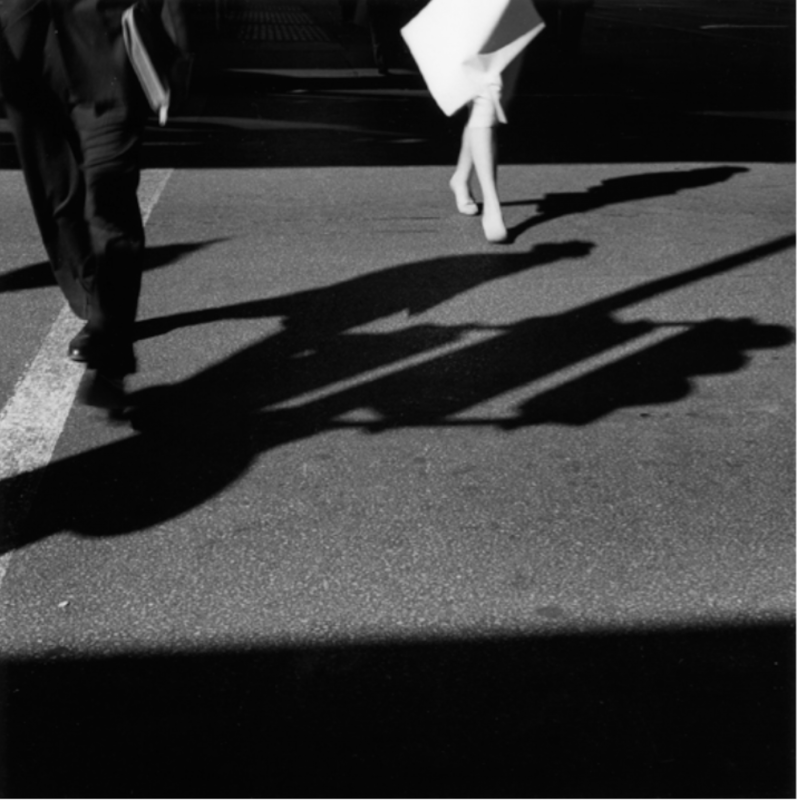 Ray K. Metzker is acknowledged as one of photography’s true innovators since the early 1960s. He was a student of the famous American photographers Harry Callahan and Aaron Siskind at the Institute of Design in Chicago, which originally opened its doors under the direction of László Moholy-Nagy. Metzker embraced the avant-garde values of the school, dedicating his later work to the exploring of the formal potential of black-and-white photography. Metzker’s images are typically characterized by high contrasts, light and darkness, dynamic angles and precise compositions of line and shadow. During his career he questioned the nature of the photographic medium and the idea of the existence of photographic ‘reality’. Through formal interventions such as cropping and multiple exposure, he explored the possibility of transforming the photographic vocabulary. With his experiments with unusual juxtapositions of images, Metzker created a rhythmic effect that recalls the photographic innovations of Eadweard Muybridge. From urban streetscapes and multiple imagery in the form of constructed composites, to dense and tangled landscapes and mysterious and pure abstractions: Metzker has proven himself over and over again a master interpreter of the medium. His balance between technical virtuosity and humane considerations has continued to make his work compelling.